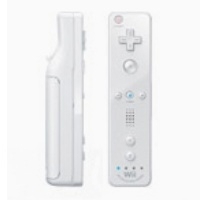 Description: The second revision of the Wii remote has the Motion Plus built in, the Motion Plus attachment is not required. 10-16-2012 tpugmire Description The second revision of the Wii remote has the Motion Plus built in, the Motion Plus attachment is not required. This is a list of VGCollect users who have Nintendo Wii Remote Plus - White in their Collection. This is a list of VGCollect users who have Nintendo Wii Remote Plus - White in their Sell List. This is a list of VGCollect users who have Nintendo Wii Remote Plus - White in their Wish List.